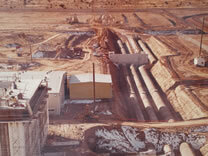 Founded in 1971, Swengel-Robbins Inc. is an Arizona Corporation headquartered in Phoenix, Arizona. S.K. (Ken) Swengel and J.M. Robbins began as a general partnership and incorporated as Swengel-Robbins Inc. on August 8, 1972. 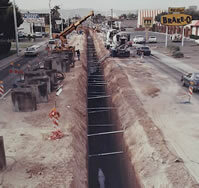 For over four decades, Swengel-Robbins Inc. has been a leader in the construction of city infrastructure including underground sewer, water, storm drain, irrigation, reclaimed water and dry utility conduit systems for new subdivisions and master planned communities. Swengel-Robbins Inc. has installed the Underground Utilities in new subdivisions for the major home builders in the Phoenix market including Del Webb, Pulte, Shea, Robson, Beazer, Sunbelt Holdings, US Homes, Richmond-American, Lennar and D.R. Horton. 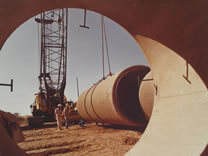 Swengel-Robbins, Inc. served as the Construction Manager and/or General Contractor for the Underground and Infrastructure Construction in the Phoenix Metropolitan Area for Arrowhead Ranch, Red Mountain Ranch, Ocotillo Mountain Park Ranch, Desert Foothills, Sun City, Sun City West, Pebblecreek, Anthem Parkside Arizona, Sun City Grand, Corte Bella, Ranch El Dorado, Sun City Festival and Vistancia.